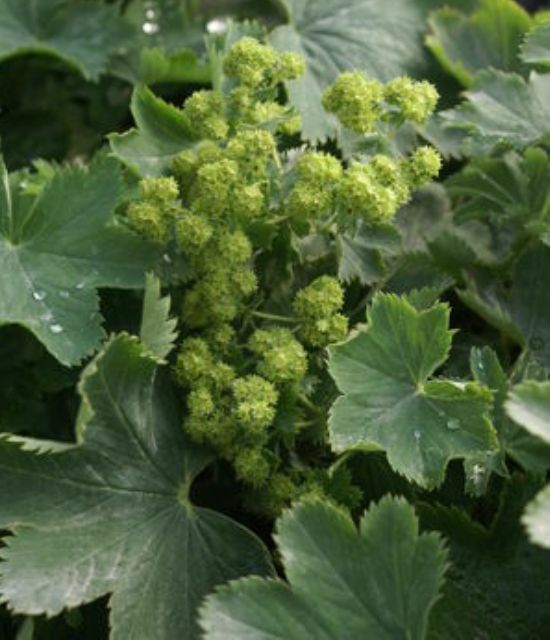 Alchemilla mollis 'Goldstrike' is a selected form of Lady's Mantle that is a little smaller and tighter than the species. The flowers also tend to stay more upright on this plant. Use 'Goldstrike' along the edge of a pathway where its foliage can billow out over the edge of the path. It is also a lovely complement to roses and blends well with almost all colours of flowers.